Jungle Girl Shell Necklaces: JGN224A Coral & Paua Necklace - Turq. 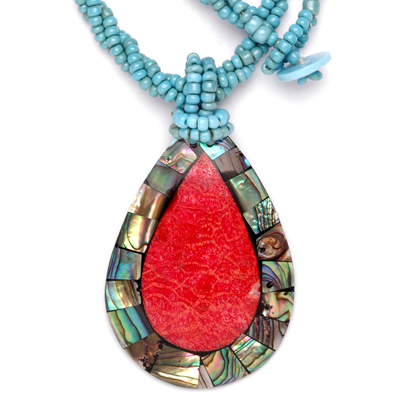 JGN224A Coral & Paua Necklace - Turq. Necklace with red coral & paua. Red_Coral___Paua_4ec8ab554cf24.jpg JGB116A Red Coral & Paua Bracelet - Turq. Earring with paua & coral - Teardrop. Earring with paua & coral - Oval.